With the dark nights and mornings with us until spring it is nice to be able to help the children celebrate Diwali, the Festival of Lights this year. Diwali runs for 5 days from the 13th of November this year, and is a festival associated with Hindus Buddhists and Sikhs. It celebrates the end of the harvest in India and small clay lamps are lit in the home. Many thanks to Dr Usharee for helping us out with a special menu for Tuesday and coming in to help us celebrate. 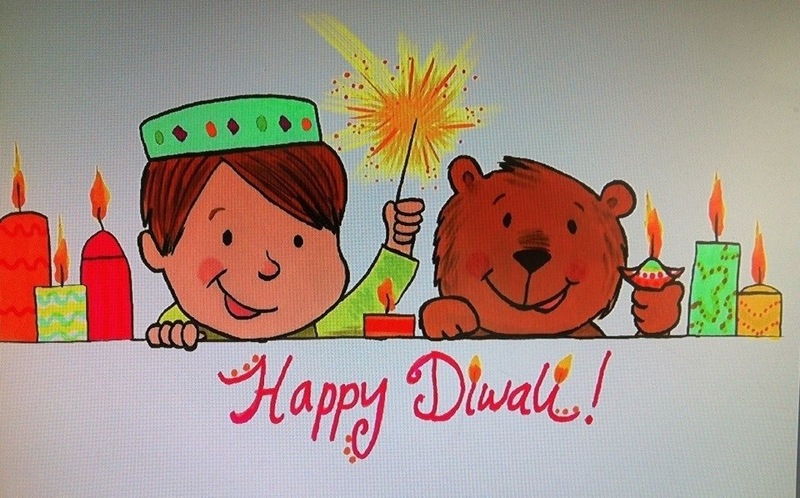 Thanks also to Liz Million for our special Diwali logo. Happy Diwali to all our friends.